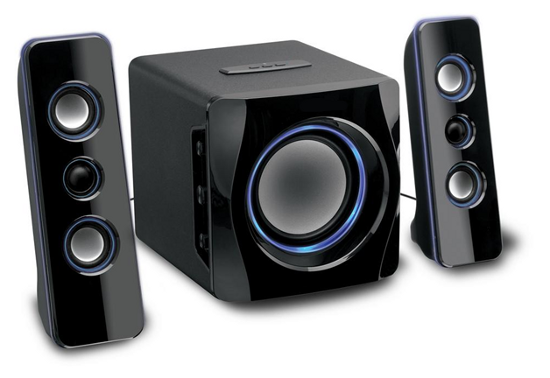 Price, design and what else should we look at when choosing the best speaker for our needs ? 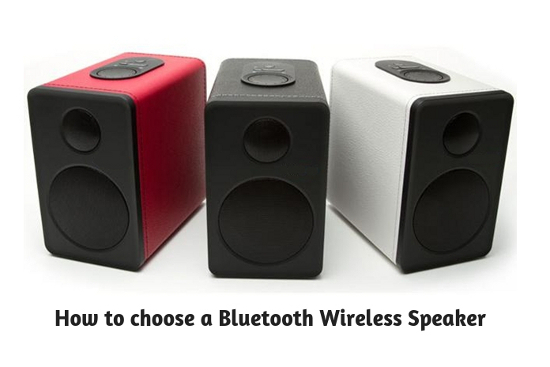 We propose some of the features that you should take into account when deciding on one or another Bluetooth speaker. Another type of connectivity much appreciated in a Bluetooth speaker would be the NFC . Many of the most current models already integrate mainly to facilitate the pairing with smartphones. All you have to do is zoom in between the sound source and the speaker and you’re done, without having to search, enter menus, download configuration applications or enter pairing codes. The Bluetooth version directly affects the bandwidth, and in the market we find models that do not fall as a general rule already of a 3.0 specification, although ideally they were already 4.0 to take advantage of lower consumption, key in a speaker wireless Also the Bluetooth class (1, 2 or 3) will determine the range. If you are looking for a Bluetooth speaker with maximum sound quality, the APTx codec is now the one with the best behavior. As for the profile, the one supported by our loudspeaker will be one or the other going to determine from the functions of the same up to the quality of the sound that we can obtain. Although Bluetooth connectivity indicates the wireless connection, the profiles determine the functions capable of performing both source and receiver. Both one and the other must be compatible with the same profiles in order to use them. A2DP. The most widespread is the main one used to transmit audio through BT connectivity. AVRCP. Profile intended for remote control of different audio playback functions. HFP. This profile, as we will see later, is necessary to be able to use a loudspeaker as hands-free and make / receive calls from our smartphone. HSP. It is the most used to receive audio content in headphones. The most widespread has already said that it is the A2DP, which generally supports the SBC codec , although this profile supports others such as MP3 or AAC whenever both source and speaker support it. SBC leaves us an audio with a bit rate of 320 kbps in stereo, more than enough for streaming services. But if the content that we are going to send to our Bluetooth speakers exceeds this quality and we want to keep it with the lowest possible losses, it is convenient that we look at the APTx codec, already available in high-end Bluetooth speakers and equipment. With this codec we obtain CD quality without sacrificing excessively the sound and also improve the latency (although in this case the advantage is more for the audio that accompanies a video). Other solutions are already included in the Hi-Res audio (such as LDAC) that some brands are uploading. In the connectivity of our future Bluetooth audio system, it is advisable to pay attention to how many devices it supports linked at the same time, as well as the equipment from which the link is stored. At home we can have several smartphones, tablets or even laptops and desktops from which we want to send audio to a Bluetooth speaker. If we already have them paired it is more direct to start sending audio whenever we want, without waiting. In addition to the connectivity and the environment of use, one of the differences between a wireless Wi-Fi speaker and one exclusively by Bluetooth is usually in its size. With a Bluetooth system we are going to try to look for a small portable device that we can move from one side of the house to another and also take us to other places where we want to listen to music without cables. Reducing the size and weight of a speaker usually means that the benefits are also lower due to the use of different materials both in the housing and in the drivers. Finding the balance between these dimensions and the quality that we can obtain will be one of the difficult decisions when we talk about choosing a Bluetooth speaker. In the design of a wireless speaker we will find details that are usually appreciated as handles or the possibility of having transport covers or that we can take from one side to another in a backpack without difficulty or excessive inconvenience. Another important and highly valued item in the Bluetooth portable speaker sector is its resistance to water and dust. If we intend to use the equipment frequently in the open air, it is highly recommended that it have a resistant profile so that at least it can support splashes of water and dust or sand, although there are models that can even be submerged and that continue to work. Impedance It is the resistance that the system opposes to the passage of the current, and it should be as low as possible, since it will be a good sign of the overall quality of the equipment. Number of channels and size of the drivers In the world of the speakers, although the number of channels is not a direct signal of the quality that we will obtain, they do provide us with more options. The usual thing is that in the market we find 2.0 or 2.1 systems. Here comes into play the size of the drivers (and if they are passive or active), which are key when we speak for example of the subwoofer. In small sizes there are not many possibilities to offer good bass reproduction and that is where we can find some important differences. Other details that should be compared when choosing a Bluetooth speaker is whether they include sound enhancement technologies. A valuable one is the DSP or digital processing of the audio signal and that, applied to high volumes, can reduce the possible distortions that we find in powerful models but of reduced dimensions. Most portable Bluetooth speakers offer Saim Deals, the possibility to expand the places where we can use them thanks to the integrated batteries or the use of batteries. The autonomy of the Bluetooth speakers is very varied, but it is a key aspect that you should consider if your priority is to use the speaker without relying on a plug, even at home. About 10 hours is a value that we should demand from our portable equipment, and we must bear in mind that this figure of autonomy is usually indicated for a use of the loudspeaker at 50% of its maximum volume. When evaluating the purchase of a speaker with internal battery do not forget the loading times and the system used by each device. If you have a proprietary charging system, you will always have to charge with the factory cable, while if you leave us the possibility of charging via USB or microUSB , it will be easier to recharge the internal battery. Some users especially value the use of a Bluetooth speaker at home that allows them to make both calls and receive them, and continue after that automatic interruption with the music where we left it. For that, make sure that the equipment you buy is hands-free, and much better if the microphones have some kind of technology to reduce ambient noise.